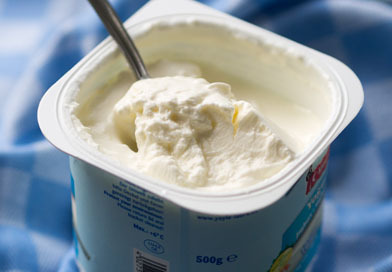 Opt for plain yogurt with no added sugar. Also look for a brand with the most live cultures, which help regulate the good bacteria in your baby's digestive tract. Make sure you pick up whole-milk yogurt – babies need the calories from fat. Serving idea: Yogurt is fine on its own, or swirl in pureed berries or other fresh fruit, applesauce, or mashed avocado.